Y'all, if I've said it once on this blog, I have said it at least a hundred times: I love our neighborhood. We are surrounded by some of the kindest, funniest, fun-loving, and interesting people I've ever met. 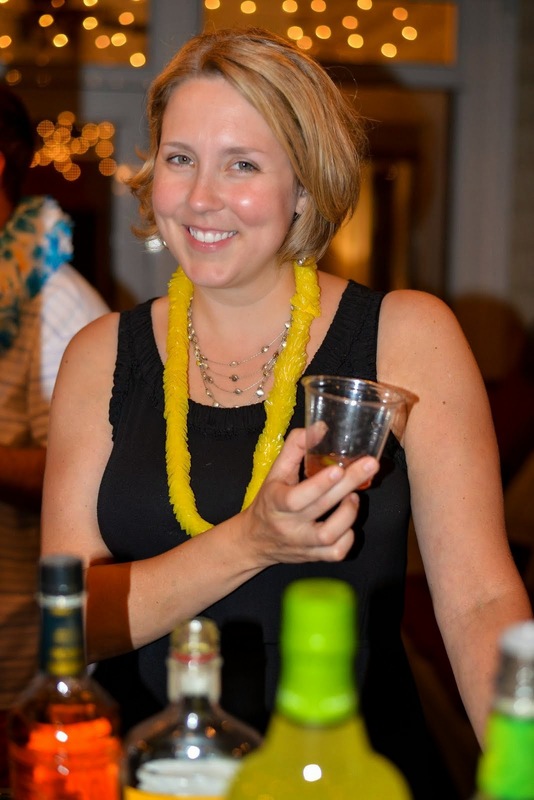 About 2 1/2 years ago, our friends Nash and Sandra moved in a few doors down with their daughter, Marina, and one on the way (Andrea). Getting to know them has truly been a joy, and thanks to them, I've expanded my global cuisine knowledge a little bit further! Sandra and Nash are from Serbia, and Sandra and I have often talked about foods from her homeland, and the types of things Serbians traditionally eat. Sandra doesn't love cooking, but she had mentioned to me a few times that her mother, Jela, is an excellent cook, and that the next time they came for a visit, she would invite us for a meal that her mother would cook so I could understand Serbian cuisine first-hand. Friends, that day came one Saturday a couple of weeks ago when I had the great fortune of not only watching Jela work to make an incredible meal, but got to sit down and enjoy some fabulous food (and wine!) with their family and ours. 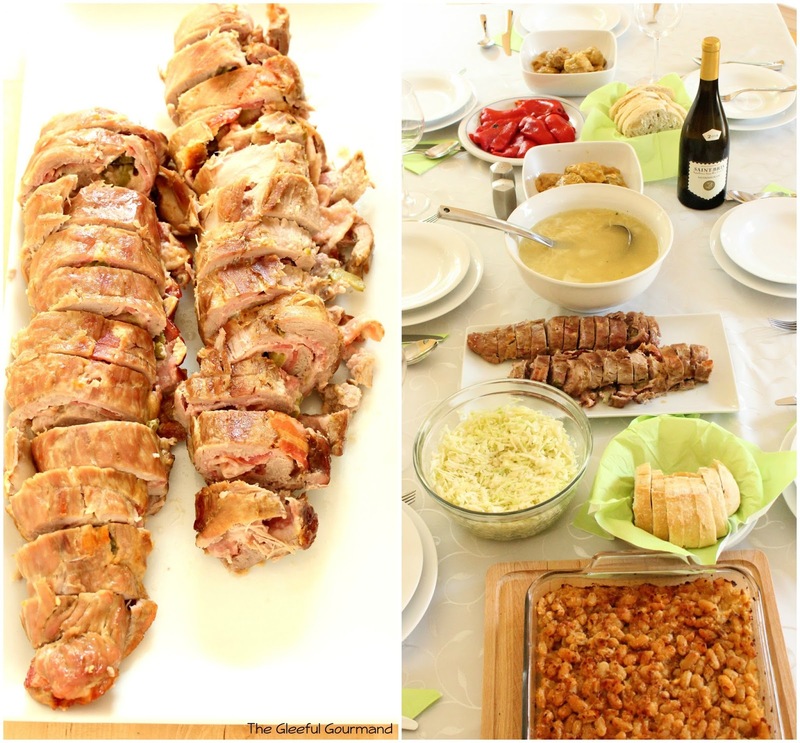 In order to really understand traditional Serbian fare, Jela prepared a feast for us that would normally be served during a celebration meal in Serbia called Slava, a religious celebration meal for a family's particular Saint. In Serbia, each household has a Saint that they celebrate on their particular day, and the family inherits the Saint from the Father's side of the family. Sandra's family celebrates Saint George (of military prowess, dragon-slaying, and Christian martyrdom fame) with a huge feast. And even though it wasn't technically Saint George's Day (that takes place in April), I was honored to take part in this feast. Jela, Sandra's Mother, learned to cook from her own Mother, and her love of cooking grew over time as she continued to cook for her own family. She still remembers everything her Mother taught her, especially how to make fresh bread and the way to knead the dough correctly. Jela reminded me very much of my Grandmother: An excellent cook who prefers to work alone in the kitchen. What she was eager to show me, however, was how some of the more traditional Serbian dishes were prepared, especially Sarma: cabbage leaves stuffed with a mixture of ground meats, spices, rice, shredded carrots, and something I had never heard or seen before, parsley root (which looks like a parsnip, but isn't). The main spice component in Serbian food is paprika, followed closely by Vegeta, which is an all-purpose seasoning containing all sorts of interesting powders including parsnip, onion, potato, celery, parsley, sugar, and nutmeg. Vegeta is used in almost any dish where seasonings need to be ramped up. As it turns out, Vegeta is from Croatia, which emphasizes how Serbian cuisine pulls from a wide variety of characteristics shared by neighboring countries and regions such as The Balkans, the Mediterranean, Turkey, and Central Europe (especially Austria and Hungary). But back to the Sarma. It was a pleasure watching Jela work as her hands moved deftly to fill the pickled and wilted cabbage leaves with just the right amount of filling, roll them up, and tuck the ends in tenderly as if tucking a child into bed. After decades of making this dish, she has become a Sarma Queen, able to stuff, roll, and layer in a big pot based all on memory, with nary a recipe card in sight (Or measuring cups and spoons. I loved that she used a pretty teacup to do her measuring). 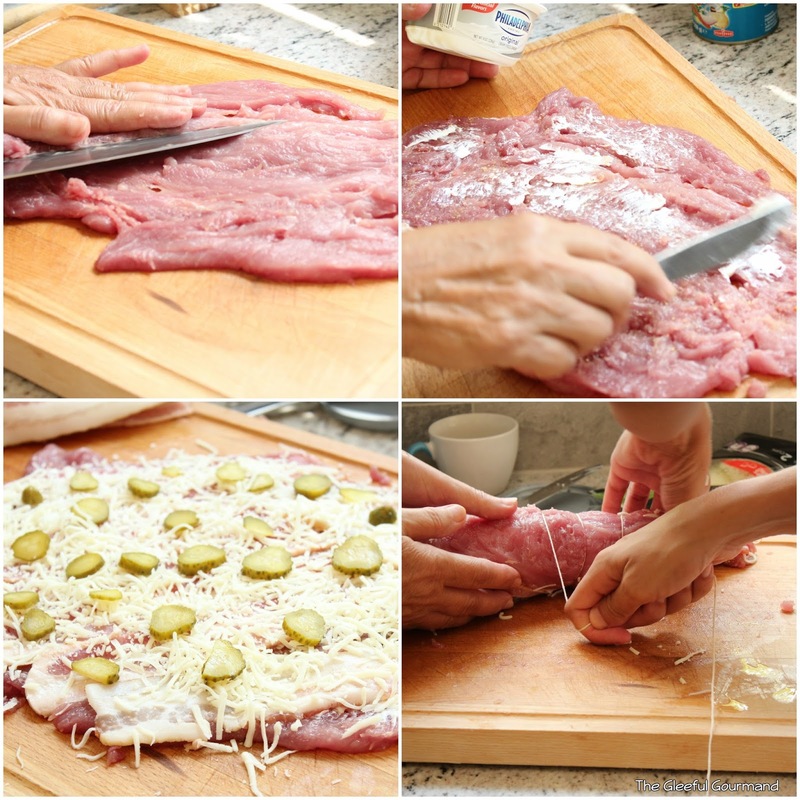 She studded the first layer with huge cloves of garlic and bay leaves, and on top of that, slices of bacon. Each layer repeated until the pot was full, and the final step was a generous dash of paprika (if it's added before, it has an ample opportunity to burn), more cabbage leaves and a bit of water before the lid was put in place. When that was finished and simmering happily away on the stovetop (for two hours), Jela moved on to finishing up the first course, a chicken soup with thin noodles, and then to the main dish - roasted pork tenderloin. Traditionally for a feast such as this, the family (especially if they lived out in the countryside) would roast a whole pig or lamb on a spit outside (called Pecenje), but since Sandra's parents had long lived in the city, Jela took a different approach. Fileting two pork tenderloins, and beating them until thin, she first slathered them with cream cheese, then added a layer of bacon. Next came a sprinkling of mozzarella cheese, and thinly sliced dill pickles. The whole tenderloin was then rolled up carefully (reminding me a little of a beef braciole), tied together, and baked in the oven for an hour or so. During the course of a Serbian feast such as this, each dish is served in its own proper time with its own accouterments. The soup came first, served with some good, crusty bread; and next the Sarma, which was served with a plain greek-style yogurt, perfect for cutting the richness with a nice tang. Next was the pork tenderloin, which was so delicious - every mouthful was bursting with flavor. This was served with a traditional bean dish, a sauerkraut-type dish of shredded, pickled cabbage, and cold roasted red peppers. Sauvignon Blanc and Médoc were the order of the day for wine. Finally, we were presented with a Serbian dessert called Pita (their version of a pie). Traditional Pita is very similar to filo (or phyllo) pastry, and is often made from scratch, but Jela related to me that more often than not, most people either buy frozen filo pastry from the store, or buy it already made from their local bakery. This made me feel a lot better about using pre-made pie crusts myself. Pita is a pastry usually filled with a sweetened cheese, but it can also be filled with fruit, which is what Jela did, with diced apples, sugar, and cinnamon. Rolled and baked to a golden brown, the texture reminded me of a crepe, and was dusted with powdered sugar. It was absolutely delicious, and the perfect ending to a great meal. 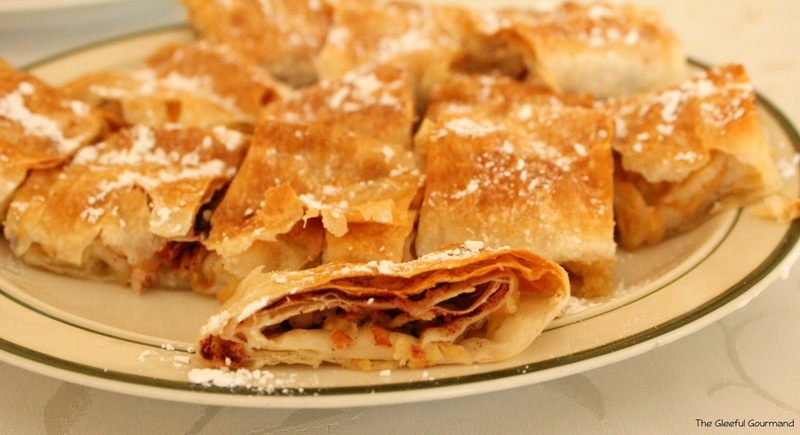 Pita, a Serbian dessert, filled with apples and cinnamon. Are you ready to try your hand at a traditional Serbian dish? This delicious bean dish was served alongside the pork, and it was a favorite amongst our kids. Recipe courtesy of Sandra, and her Mother, Jela. Put beans in a lot of water until boiling. Once boiling, drain the beans, change the water, and add salt and bay leaves. Cook again until almost done. The beans need to stay whole. Drain the beans, but reserve 1 cup of the cooking water and set aside. In a large skillet, heat oil and and sauté onions until translucent. Add Vegeta, salt, and pepper to taste. Remove from heat and add paprika. 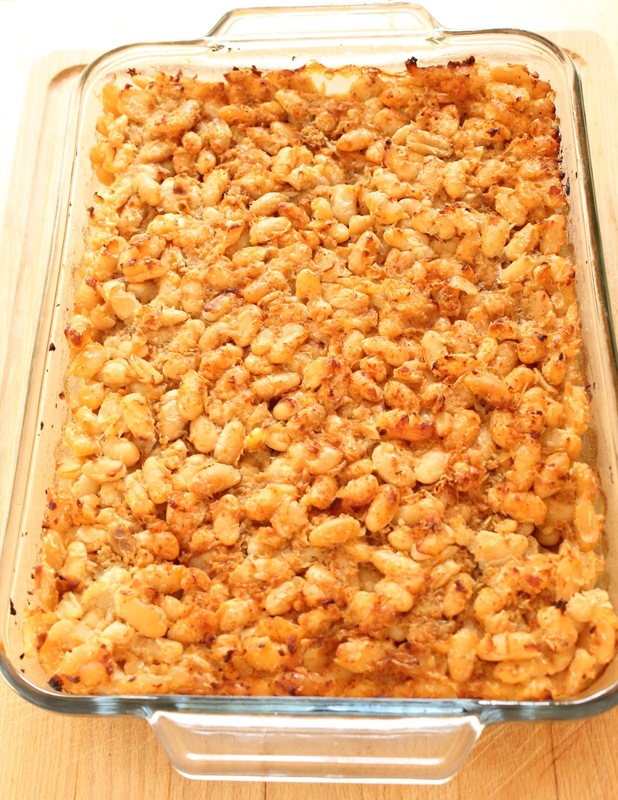 In a rectangular glass or clay dish, put one layer of beans, then one layer of onion mixture, continuing until everything is used but the onion mix, which should be the top layer. Pour 1 cup of leftover boiled water and bake at 400˚ for about 30 minutes.